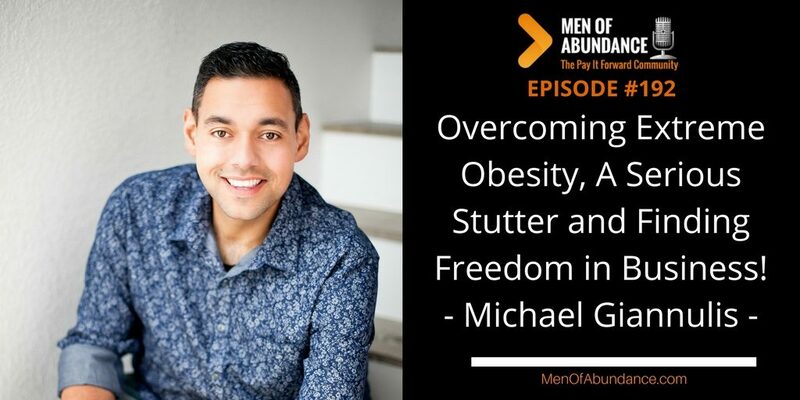 Overcoming Extreme Obesity, A Serious Stutter and Finding Freedom in Business! Just when you think you had it bad, someone else comes along to show you “Yes, things can get bad and then get worse”. However, you’re life can’t keep going down a back hole, as long as you realize how much abundance you have in your life. Our feature guest today shares with us his low points. And they were low. And then shows us what’s posible with the right mindset and training. Michael Giannulis (Gee-uh-NEW-liss – kind of like “Gee, a new list” because after all, he’s in marketing!) has overcome the odds and loves to share that story to inspire others. 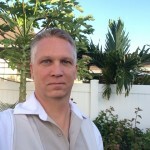 Mike especially thrives on connecting with entrepreneurs to motivate them to “do big things” in the world. Mike’s story begins in an average family where he had to work for everything he had. He started “at the bottom” and worked his way into the American Dream. In fact, Mike dropped out of high school, went back to get his degree and even went to college… ending up on a popular reality TV show. As a guy who started his working life stocking shelves on the overnight shift at a giant retailer, Mike has seen the spectrum. Now Mike grows and scales companies, using real-world experience to make this happen. His most recent company is on track to do $40 million in gross revenues. He is a serial entrepreneur who develops systems to help other entrepreneurs run multiple companies without having to be there. I am so inspired by Michael’s story on so many levels. It reaffirms my own abundant beliefs and mindset. I trust it does you as well. Be abundant in your life today by paying it forward and sharing Men of Abundance with others.